A luxury single-ended free-standing bath with stylish chrome feet, suitable as a centre piece for any bathroom design. 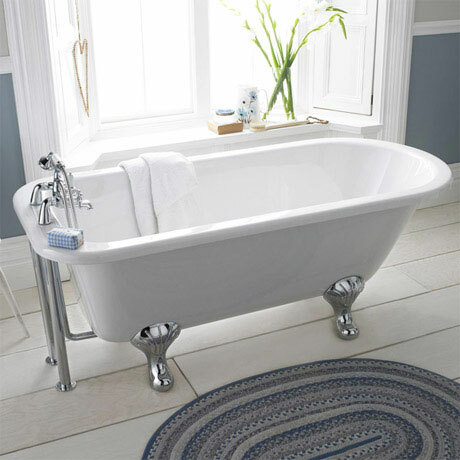 Carefully designed and manufactured to the highest standards, you can be sure that choosing this classical free standing single-ended style roll top bath you will complete the bathroom of your dreams, and leave you happy for many years to come. Q. Will the Hudson Reed Luxury Roll Top Bath Pack fit this bath? "A beautiful, luxurious bath at a very reasonable price." The design, style and price of this bath are all excellent. 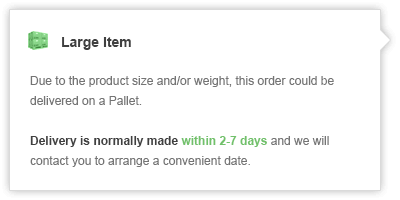 I really couldnt fault anything about my order or the product. I ordered this a few weeks ago and have just had it fitted, I cant tell you how happy i am with it, it really looks so classic and stylish and all at such a good price.